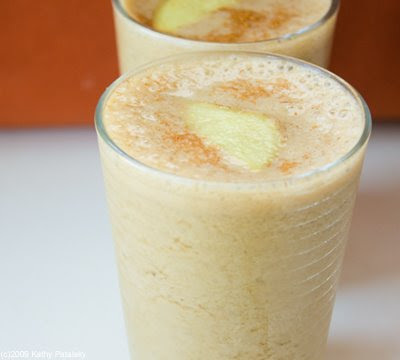 Ginger Snap Smoothie Sipper: 3 Ways. No Crumbs. Ginger Snap Cookie in a Cup. I was dying to experiment with a molasses blended beverage. I was a bit concerned that the molasses would be too pungent for a light beverage and I would only be able to add about a tsp. Not really enough to qualify as a molasses-themed smoothie. But I successfully added one tablespoon of blackstrap molasses to the recipe and it tastes delicious! Like a cookie, without the crumbs. Liquid Base: Vanilla Chai. I had a feeling that one of my favorite smoothie liquid base's would be perfect for this smoothie. And I was right! 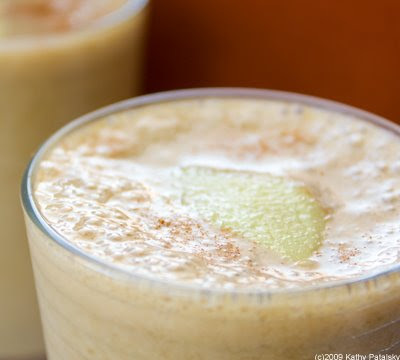 The Bolthouse Farms brand Vanilla Chai Protein Smoothie beverage is perfect for this recipe. 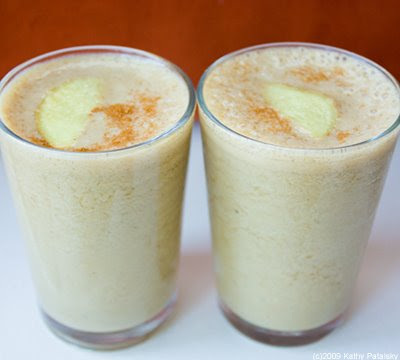 Really, it combines with the ginger, banana and molasses perfectly! Alternative Liquids. If you don't have Bolthouse Farms on hand there is another option. 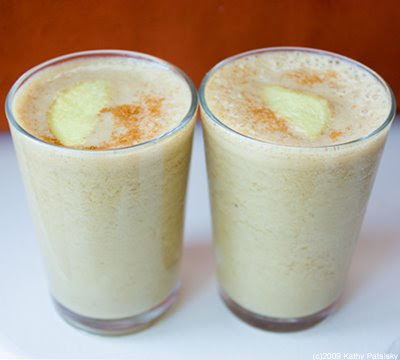 Use a 1:1 ratio amount of a liquid chai tea concentrate (sweetened) and a vanilla full-fat soy milk. (Low fat soy milk would be too watery). Then if you need more 'sweet', add a bit of agave syrup or brown raw sugar to the blend. But try to find the Bolthouse blend. It is perfect for this recipe. Image Note: The recipe shown in the images is recipe variation #1, the light and silky version. More of an iced beverage than a true thick smoothie (variation #2). Recipes below! Garnish with cinnamon sprinkles and a fresh shaved ginger slice. Variation #3: Thick OR Thin, spicy and energizing! Garnish with cinnamon and cayenne sprinkles and a fresh shaved ginger slice. 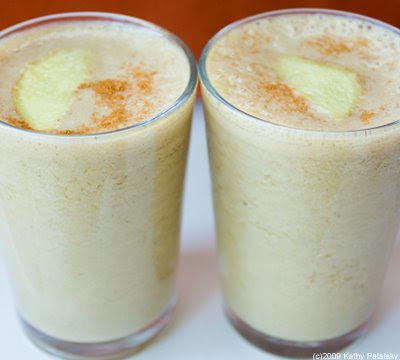 Note: You can even use fresh ginger in this smoothie. Just add 1 tsp fresh ground ginger to the blender. But still use the powder because it gives it that nice ginger snap cookie flavor.